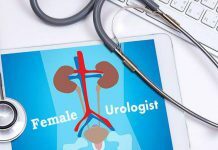 Normally a healthy person passes urine 4 to 8 times a day but if you are going more than 8 times a day or waking up in the night time for the pee more than once in the night then you may be having some health issues. Abrupt and continuous urge to urinate in different timings considered as frequent urination. Frequent urination can also be the main reason for those who intake a lot of liquid. 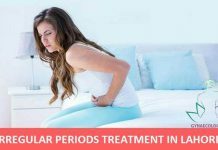 Generally, it can be a sign of ureter disorder, kidney problem, urinary bladder sickness or some other general disorders like diabetes mellitus, pregnancy, or prostate gland issues. You have to visit our female Chinese specialist Dr. Goufen Liu if you are having urination disorder. She will provide you natural and effective treatment for frequent urination in a female with the help of traditional Chinese herbal medicines. Polyuria: Increasing in the total volume of urine production. Incontinence or involuntary loss of urine. Dysfunction in storage and emptying of urine. What is UTI (Urinary Tract Infection)? Urinary tract infections known as UTI causes because of microorganisms like fungi, bacteria, and viruses. They may have fatal effects on kidneys and bladder. Bacterial infection in urinary tract thru which urine passes. The contamination can arise inside the urethra, ureters, or the urinary bladder. Excessive urination disorder can be caused by infection or disease in the urinary tract. Disturbed Bladder functionality like irritation, injury or infection. Drugs or beverages that stimulates urine production. Excessive intake of total fluids, alcohol or caffeine. 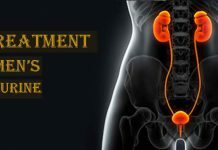 If you are experiencing following symptoms then you must visit our hospital for Urinary Tract Treatment in Lahore. You feel like peeing off and on. The pungent odor of urine.